32 year old T11 paraplegic Fellipe Kizu Lima was 18 when he fell off a friend’s balcony and broke his back in 3 places. Fellipe’s positivity has served him well in the years since. Determined to continue leading an active lifestyle he tried surfing a standard surfboard lying on his stomach shortly after getting out of hospital, but this was frustrating because he couldn’t do the manoeuvres he wanted to. Instead, he discovered you could surf waves from a seated position while on a river kayaking trip. For a couple of years he hit the waves in a surf kayak but soon discovered its limitations. His adaptive surfing really took off when he started surfing a waveski. Sitting on top of this board with his legs strapped in place allowed him to transfer his energy into the board and it was safer than a kayak because it didn’t fill up with water. Using a kayak paddle gave him the power to propel himself into waves easily. Fellipe started just surfing for fun, but in 2009 entered the kayak surf and waveski champs in Brazil against the able body guys. And lots of water time has sure paid off, Fellipe is the current world adaptive waveski champion and spends his time travelling to events all over the world on the ISA adaptive surf championship. Surfing on the world tour is a great experience, made possible for Fellipe with the support of the Challenged Athletes Foundation and also from Rasta Wax, a small business he started that produces surfboard wax. On waveski design, he recommends starting on an adaptive waveski first, then progressing to a waveski with sharp rails and a vee that extends almost all the way to the nose to stop the board nose diving. 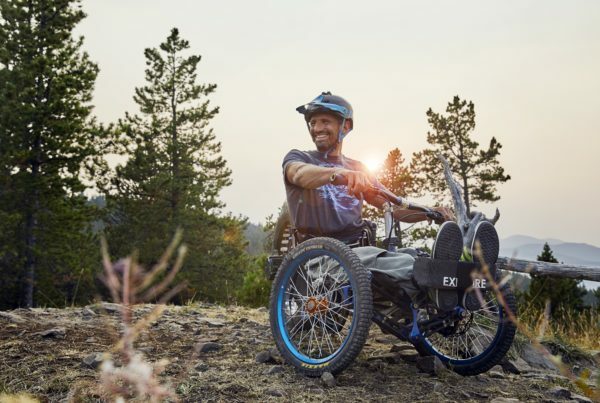 Being unable to walk can make access difficult, but Fellipe has a good group of friends who are more than happy to carry him on their back, and of course on the adaptive tour the events are well supported. Sometimes though he just shuffles his way down to the beach on his backside. It’s this strength and calmness about Fellipe that has meant he’s been able to follow his passion and leave his “disability” behind. Listen to the Podcast with Fellipe Kizu Lima now.